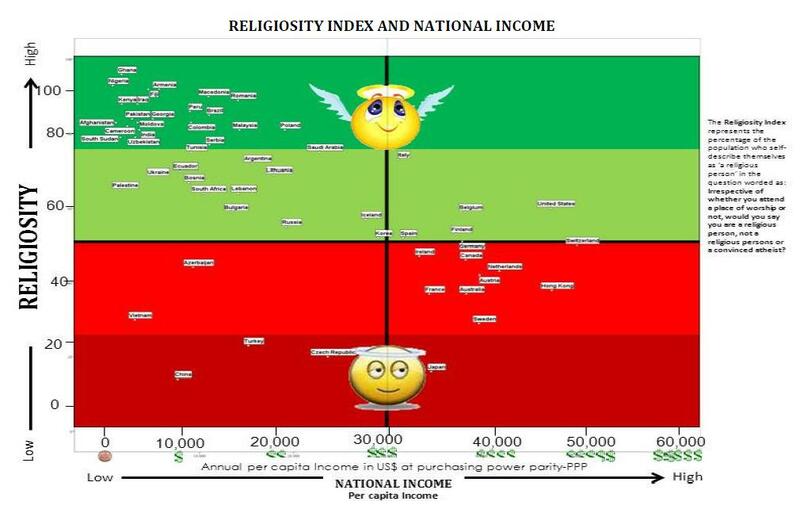 Comparing the responses across nations, it appears that countries with lower per capita incomes tended to have higher levels of self-reported religiosity, and as per capita income increases, reported religiosity decreases. Interestingly, while the United States ranks among the highest in terms of per capita income, more than half of American respondents still reported themselves as being a religious person. Globally, the study found that there was a rise in people responding as not religious or as atheist compared to the previous survey in 2005, a trend that includes the United States.